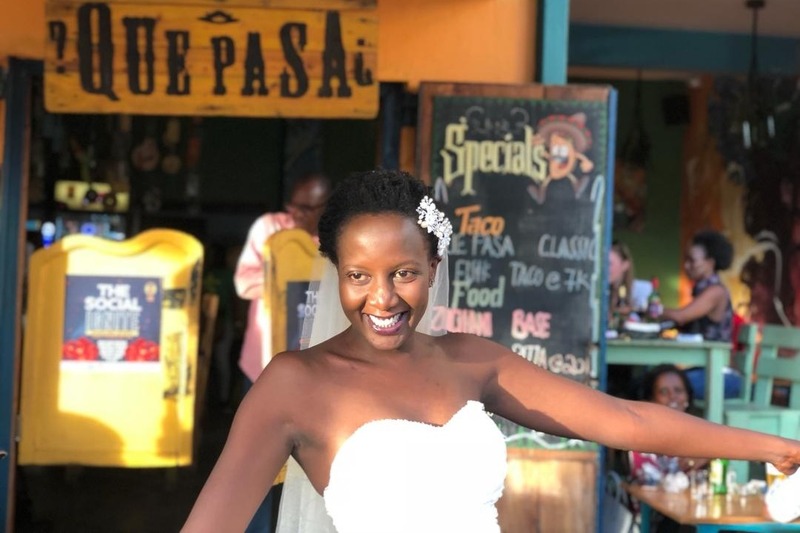 Here’s Why this 32-Year Old Ugandan Woman got Married to herself. No Groom, One Bride, One Goal! 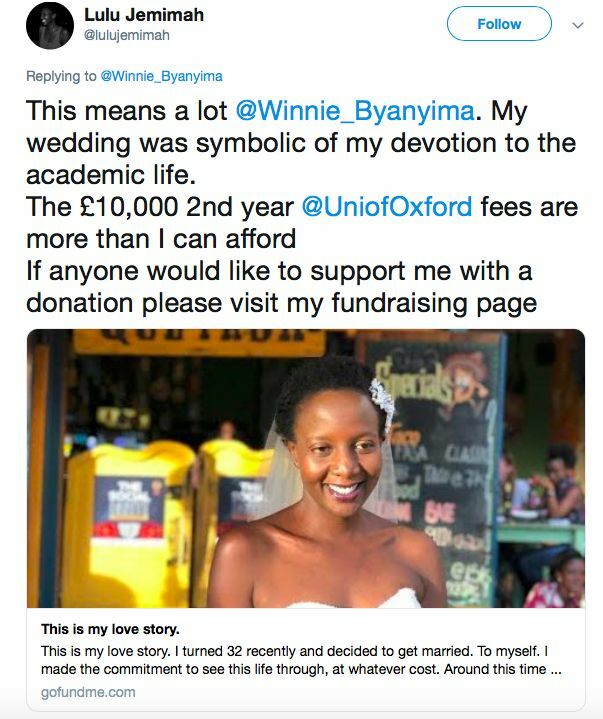 Lulu Jemimah‘s story is trending today. 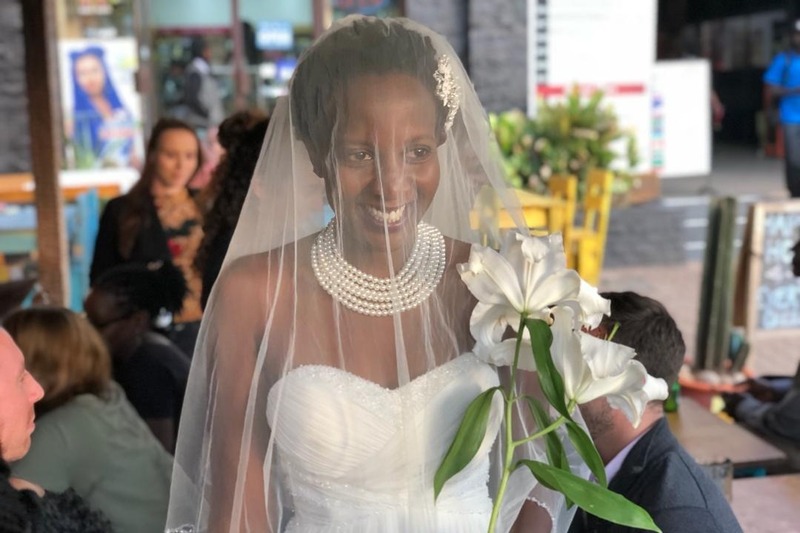 The 32-year-old Ugandan got married to herself recently and she had only one goal in mind for doing it. I turned 32 recently and decided to get married. To myself. I made the commitment to see this life through, at whatever cost. Around this time last year, I was accepted into the University of Oxford. This has been a great year but also one of the most difficult. 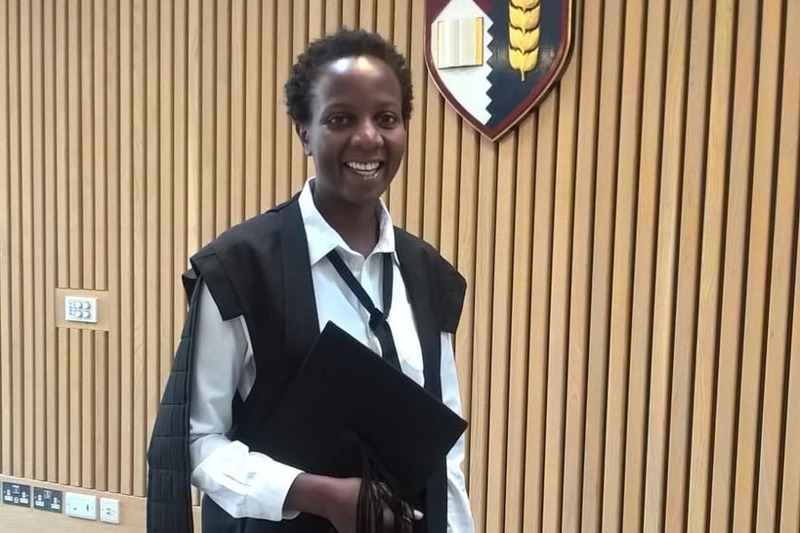 I am a writer from Uganda working towards a career in research and academia. To do this, I need a masters degree, at the very least but no university in Uganda offers creative writing at graduate level. Last year, I applied to three UK universities, was admitted but without funding. Then I applied and was accepted into the two-year Mst. in Creative Writing program at Oxford. I could not believe that they had chosen me. I still can’t believe it. Despite all this, people ask me what my ‘plan’ is, when I plan to get married, have children and start a family. They can’t imagine that what keeps me up at night is not the fear of never walking down the aisle. My father wrote my wedding speech when I turned 16. Every birthday, my mother prays for me and in recent years this has included a plea for a good husband. Someone to take care of me. I decided to put them all at ease. I got married on my 32nd birthday to the one person I am certain will take care of me. A friend hired the gown as a birthday present. Another friend offered to do my makeup. I borrowed my sister’s jewelry and my brother baked the cake. I asked a few friends to show up at a local bar and cater for their individual bills. Marriage is an expression of love and commitment. But for many people back home, it is still considered the only way to guarantee a woman’s financial security. These are all things that I want. When I got into Oxford, I needed over 20.000 pounds for the tuition. I looked for scholarships, grants and even contacted embassies and government bodies. I considered taking out a loan but was told, as an international student, I was not eligible. I decided to do one of the scariest things. I turned to the public for help. From the generosity of 279 people (many friends, most strangers), I managed to secure the first year’s tuition. I borrowed a suitcase from a friend, a warm jacket from my dad and all my sister’s ‘decent’ shoes but when I applied for the study visa to the UK, I was rejected. Determined, I paid extra for priority processing and put in a second application. That too was rejected . I returned the suitcase, cried into the jacket at the idea of losing my spot at Oxford. This was like my magic carpet ride into the future. I was not about to give it up, so I sought legal counsel, put in a third application and was eventually granted a study visa to UK. This is my love and commitment. This is a rare opportunity to train with some of the best tutors and students. I am part of a unique writing community which I can continue to draw from professionally for years to come. This has been extremely difficult. I must apply for visas every six months and with each chance I risk getting turned down on grounds of financial inability. I have one more year to go and I must come up with the remaining tuition and college fees of 10,194.00 pounds. You can read up more and support her dreams HERE. Watch highlights from the wedding below.